You may think a trip to Europe is expensive, but prices this year are very much inline with what you would pay for an all-inclusive sun vacation. There are many customizable packages that can be tailor made to make sure you see and experience the places that are important you. European packages include flights, transfers, all accommodations, and may also include activities, meals or sightseeing trips. France has always been a top destination for Canadians travelling to Europe. Throw on your shades and get ready for a taste of glamour! Start your trip in Nice, a gorgeous seaside city that is so much more than its beaches. Dive into ancient history, view unparalleled art collections, and shop at vibrant street markets, all in “Nice la Belle”. 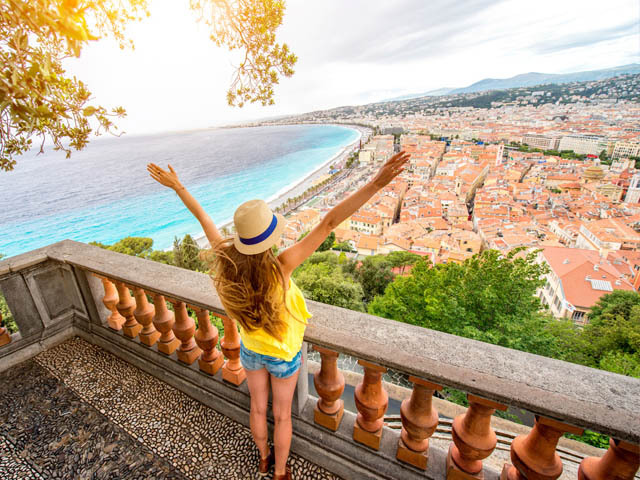 Enjoy day trips to the sleek city-state of Monaco and the glitzy resort town of St. Tropez, and experience the magic of one of the most famous vacations spots in the world—the French Riviera. Visit iconic Greek islands and experience the history, charm and sunny skies of this incredible region. Your flights, accommodations and some activities are included, and you’ll have ample time to explore the islands at your own pace. 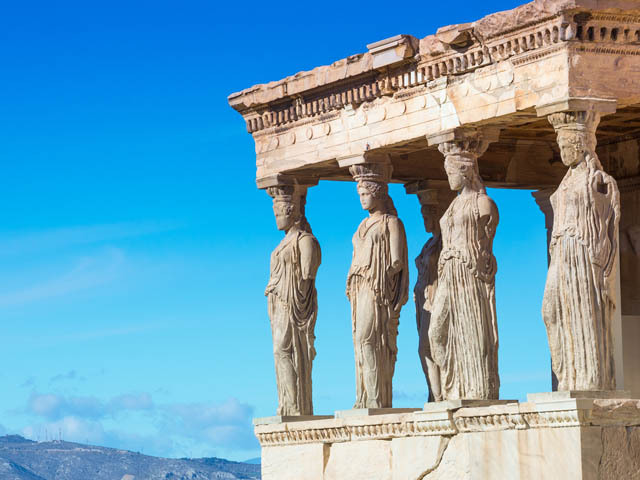 Travel through Greece with stops in Athens, Mykonos, Naxos and Santorini and discover the wonderful history and romantic atmosphere of this country's iconic cities and islands. 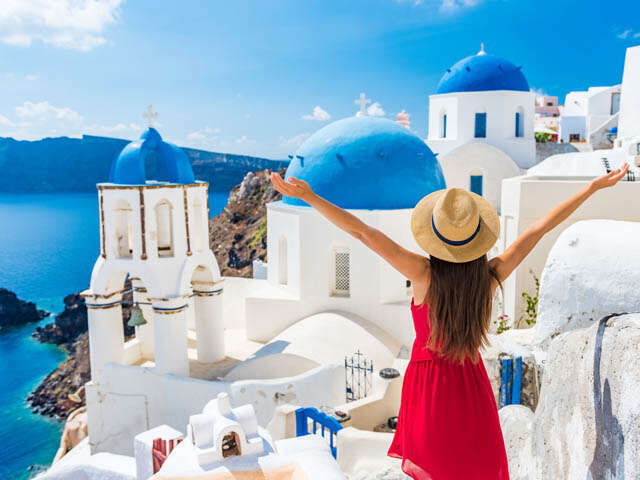 From a beautiful volcanic caldera in Santorini to the hustle and bustle of Greece's largest city, you'll get a taste of it all. Sweet dreams are made of this! Wander through Venice and sample its local cuisine. Marvel at medieval masterpieces in Florence and Pisa. Delight in the history and architecture of Rome, the beaches of Capri and the exuberance of Naples. Best of all, your luggage will be picked up and dropped off for you at hotel at every destination! 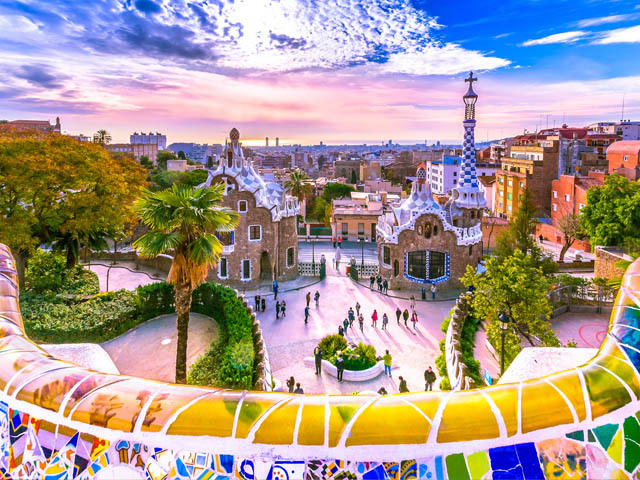 World-class tapas, a beach and Gaudi's blend of Art Nouveau and neo-Gothic art: This is but a glimpse of what Barcelona offers. To do Barcelona right, you must visit its various neighbourhoods. Check out the beachfront restaurants of La Barceloneta and the museums of Montjuïc. Stand in awe at the Sagrada Familia and browse through the luxury shops of L'Eixample. In Barri Gòtic, stroll through Las Ramblas promenade and make a stop at La Boqueria market. Give us a call today to explore Europe, your way, with one of our great European packages!